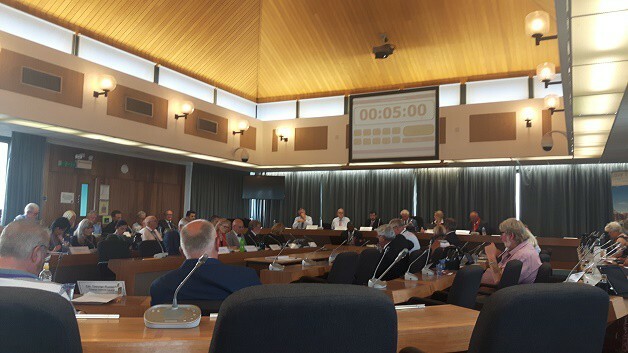 Thanet councillors have voted to move forward with a new Draft Local Plan which will mean the re-allocation of 2,500 homes to greenfield sites in the villages, Margate and Westwood as part of a pledge to retain aviation use at Manston airport. The reallocation of the homes comes with the removal of a mixed-use development designation for the airport put forward in a version of the draft plan which was rejected in January. That vote led to the collapse of the UKIP administration. The draft plan – which is a 20 year blueprint for housing, business and infrastructure on the isle – has now been approved to go to the publication and public comment stage by a vote of 31 in favour and 21 against. Members of UKIP and Labour spoke vehemently against approving the option, saying the plan was unsound and would lead to rejection at the public examination stage and result in the government taking control of Thanet’s housing and infrastructure proposals – potentially costing the authority tens of thousands of pounds. Thanet District Council is already in ‘intervention’ with the Government closely monitoring progress due to the authority’s failure to put in place a local plan. Failure to publish a new plan, would risk further direct intervention, such as the government or Kent County Council drawing up the isle’s blueprint for housing, business and infrastructure. The authority’s ruling Conservative group and most Thanet Independent Councillors (TIC) backed the option as the best way to protect aviation at the airport site, saying they were honouring the election pledges made to residents. But reception for the housing figures put forward were lukewarm with many opposed to the reallocation of development. Cllr Carol Messenger, who voted in favour of the plan, vowed to fight extra housing proposals for Westgate. This echoed by TIC Bertie Braidwood who voted against the plan saying despite his support for the airport he had to put his constituents fears about extra housing first. Independent Suzanne Brimm, who voted against the plan, vowed to fight over-development in Birchington saying the plan would mean ‘excessive housing foisted on Birchington” resulting in it becoming a town. Two amendments have been added to the draft plan following recommendations from a scrutiny meeting on July 11 and Cabinet meeting this afternoon. The first is that the 2,500 reallocated ‘airport site’ homes would be phased towards the end of the Local Plan period in 2031. The reallocation will be: Birchington 600 homes; Westgate on Sea 1000 homes; Westwood 500 homes; Hartsdown, Margate 300 homes and Tothill Street, Minster 100 homes. In urging members to back the option and vote through the plan Conservative councillor Peter Evans caused some dismay when he said: “These homes will never be built,” implying an aging and dying population would negate the need for development. Councillor Peter Campbell asked why the plan was to build on green fields when there is “a huge brownfield site sat in the middle of Thanet unused,” referring to the airport land. The second amendment concerns the Development Consent Order process. A DCO is the means of obtaining permission for developments categorised as Nationally Significant Infrastructure Projects (NSIP). This includes energy, transport, water and waste projects. Consortium Riveroak Strategic Partners hope to bring aviation back to the Manston site via a DCO being granted by government. They resubmitted their DCO to the Planning Inspectorate (PINs) this week after withdrawing the first submission in May. The draft local plan includes text that recognises the existing use of the airport and acknowledges the current DCO process for the site but specific aviation policies have been deleted as officers say they cannot produce evidence to warrant their inclusion. The second amendment indicates that the status of the Manston site will be reviewed after a minimum of two years if a DCO or compulsory purchase of the land has not been agreed by that date. Airport site landowners Stone Hill Park have submitted a masterplan for housing, business, infrastructure and leisure at the site. A question over whether the draft plan would mean instant rejection of this application was not answered. Efforts to get the SP05 aviation protection policy reinstated were denied. The draft plan also includes a policy to introduce a ban on new foster homes in Cliftonville West. The vote marks the start of the final pre-submission stage of the Local Plan process. There will now be a further opportunity for the public to comment on the draft plan. This is proposed to run from Thursday, August 23 until Thursday, October 4. Anyone wishing to speak in front of the Planning Inspector has to submit a comment at this stage – submissions from earlier stages of the local plan process will not be included. Comments from the public will then be shared, along with the draft Local Plan, to the Planning Inspector for examination. Public hearings are then expected to begin in February 2019. Full details on how to comment will be published ahead of the publication period. An e-mail will be sent to all of those who have previously commented on the Local Plan via the council’s online planning portal, Inovem. 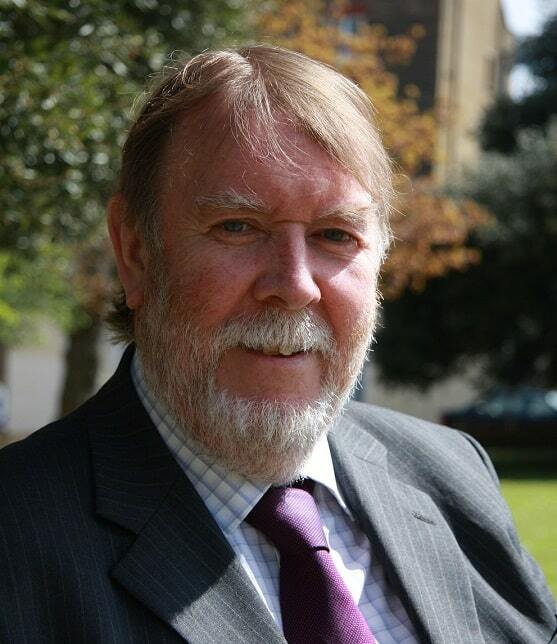 Leader of Thanet District Council, Cllr Bob Bayford, said: “Tonight’s vote was the right decision for our Local Plan. We now have a way forward that provides an opportunity for options around the airport to materialise – whether that’s through the DCO process or through another interested party as a possible indemnity partner of the council. Government guidelines currently suggest a build of 17,140 new isle homes by 2031. The figure could rise to more than 20,200 homes, raising the requirement from 857 dwellings per year to 1063 dwellings per year, if new government guidance is followed. It must have been a difficult decision for those councillors who voted to allocate 2500 homes to greenfield sites rather than voting for a plan which utilised the former Manston airport site for mixed development. I wonder how they decided that people would prefer to lose their local greenfield sites to housing rather than see that housing built on an available, currently unused, large brownfield site. I wonder how they managed to forget that all research indicates that commercial aviation will very probably do badly at Manston as it is badly situated. And how could they forget their earlier pledges to reduce the scale of new housing in Thanet? What a pity they chose the wrong option. I daresay they’ll lose a few votes because of it. It’s the facts and evidence on which I’ve based my opinion which make the chosen option wrong. Congratulations to you for coming to that opinion however for me I find your opinion wrong so therefore I am right. See where this could go…..
Perhaps you could explain why you think the council made the correct decision. Perhaps it’s because I want the best for MY local area! Not being put off by the occasional night flight! That you guys seem so worried about! YOU moved in next to an airport! Deal with it! The plans put in for mainly cargo with up to 20 cargo ports has never been tried before so how can there be facts or evidence to go against the new plans for aviation! You may want 2000/4000/10000+ new houses on that site and maybe your in a position where your not worried about a job or a school or a GP but there are many of us that are. Your so narrow minded in the way you all go on about there won’t be many jobs and the pollution and the noise! Get real! 2000+ houses= 1000-2000+ cars what about that pollution not to mention added congestion along with decreasing amount of jobs a possible increase in crime and an increase in insurance premiums…….. your welcome to your views and your opinions but remember there are 2 sides to this and from where I sit there’s a realist view and a selfish view. Go? It’ll end in chaos. The option chosen by TDC is fundamentally flawed. The Local Plan must be evidenced based. There is absolutely no evidence whatsoever that aviation will work at Manston; quite the contrary. No option that includes aviation at Manston is tenable. One lives in hope that the TICs and the Torys will lose all their votes. What a waste of time. Joshua: the evidence refers not to Manston per se, but to the nature of air freight cargo in the UK: there is very little dedicated air freight, the sector has been in steady decline since 2001, there is plenty of spare capacity at existing hubs such as Stanstead and especially East Midlands. You can build as much infrastructure as you like at Manston, but if what little demand there is is being more than adequately met elsewhere then you’re flogging a dead horse. BTW being rude to people by calling them “selfish” and “narrow minded” doesn’t actually bolster your argument. This is a reply to Joshua Galt. Everyone who moved into Ramsgate between 1916 and 2014 knew there was a small airport nearby. RSP’s plans are for a very different sort of airport. I had much rather see 2500 or so houses/flats built on the former airport site- a brownfield site- than on agricultural land and countryside. Of course, SHP’s plans are for a mixed use development. Not just new homes. However, the housing quota will, at least to some extent, be built somewhere. Unless the local public transport system can be so much improved that car usage in Thanet drops considerably, traffic will increase. Unless the current government increases funding for education, the police and the NHS, there will be extra strain on schools and hospitals. But the noise and pollution from air transport need not occur. Given the increasing evidence of the damaging effects of aviation on the health of nearby residents, I don’t think that anyone who doesn’t want RSP’s DCO to succeed is being selfish or narrow-minded. Anyone else disgusted by the way Thanet Council is run? Services are poor, the management is poor yet they can vote on a housing plan that favors a dying airport over open spaces that is enjoyed by all. Living in Birchington, the size is manageable yet to add another 100 homes in Minster would cripple the ONLY road in and out of the village. These councillors are stupid. Close the airport, make is a new village or small town (whatever) and own that decision! The airport has always failing or dead. Those councillors that voted for the option have their heads buried in the sand. They are living on a hope and are forcing all of Thanet to live that way. They do not represent the majority of their constituents but an old promise to handful of dreamers. Things change locally all the time but the refusal to acknowledge this by these fools is only strangling the life out of the Isle. To wait another 4 years for nothing is just foolish when that site could be used now to help stop the huge house building on our green field sites in Thanet, closing our natural wildlife corridors and filling the spaces between each town with houses. We have been stabbed in the back with the Plan recommended in the chamber yesterday. I really hope the electorate see sense when it comes up for public scrutiny. This is just crazy. roll-on voting time. We are between a rock and a hard place. Much of the area proposed for housing development at Mansion is currently green, open space – as far as I am aware houses are not due to be built on the existing runway ! We still have numerous pockets of previously developed (or currently derelict) land and buildings which could be redeveloped for housing – but ten small “brownfield” redevelopment projects are more costly than one big, open, greenfield project so builders are not interested because profits will be less. Where’s your evidence that housing can be built on the Manston site? Lots of lurking nasties I suspect under that site that developers would probably prefer not to build on. But let’s wait and see. 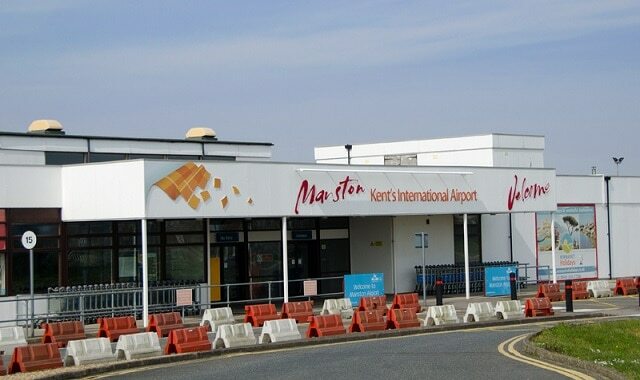 Where’s the evidence that there are lurking nasties at Manston? There is none. You’re just making it up, or repeating other people’s nonsense. There is, however, plenty of evidence that aviation won’t work at Manston. It is true that TDC Contaminated Land Log has no entries. This is being queried with regard to Westwood Cross, Sericol, Thor and Pegwell. There is evidence of toxic chemical tipping. Whether that is manifesting as airborne PCBs (yet) would require environmental testing.